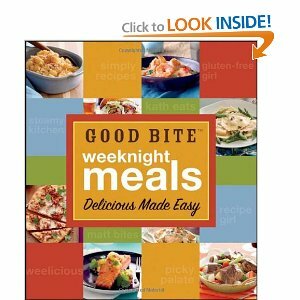 With mouthwatering full-color photographs from Matt Armendariz of Matt Bites and fully taste-tested recipes for any and every night, Good Bite Weeknight Meals offers inspiration and cooking wisdom to turn any dinner into a special occasion. 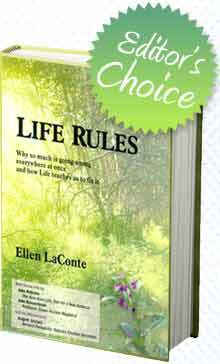 Life Rules: Why so much is going wrong everywhere at once & how Life teaches us to fix it. Economic and polar meltdowns, inept, corrupt and bankrupt governments, long-term double-digit unemployment, climate instability, failing social services, collapsing ecosystems, a widening wealth-poverty gap, unprecedented species extinctions, mass migrations, peak fossil fuels, religious, ethnic and resource wars, spreading hunger, poverty, chaos and disease. . .
What should we do instead? We should remember that Life rules, we don�t. The global economy operates as if it were larger than Life. It isn�t. As if it had multiple Earth�s to supply its appetites. It doesn�t. Life learned how to deal with global economies two billion years ago: It put them out of business. It encoded in other-than-human species an adaptable protocol of economic rules that help them to avoid causing Critical Mass and survive Critical Mass when it occurs naturally. What are those rules? Among the rules written into Life�s Economic Survival Protocol are local self-reliance, intercommunity and regional functional cooperation, non-carbon energy sourcing, resource conservation, sharing and recycling, and organically democratic methods of self-organization and governance. These rules have worked for Life for two billion years. We can make them work for us, too. How? We can learn Life�s rules and adopt lifeways that mimic Life�s ways. Take back your future! A tool for community transition and cultural and personal transformation, Life Rules offers a clear and compelling context for understanding our global crisis and a treatment plan for Critical Mass that is at once authentically conserve-ative, deeply green and profoundly liberating. Strawberry Cooking, Baking and Noshing Adventures Made Easy with �Strawberry Recipes for Everyday� in Print and E-Book Formats. With a new fascination on the timeless art of home cooking and nutrition, the Commission created a cookbook full of chef-created, mouth-watering strawberry recipes. 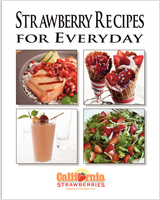 Available in print and e-book formats, �Strawberry Recipes for Everyday� has close to 50 creative ways to serve one of the most popular fruits in the world. 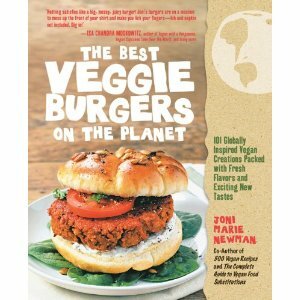 The Best Veggie Burgers on the Planet takes the popular veggie burger to the next level of freshness and flavor, with more than one hundred daringly delicious, internationally inspired vegan burgers�burgers that stack up to any patty around (meat-full or meat-free) and will wow not only your vegetarian and vegan friends, but all the skeptics too. Museyon Art+ series of books of books is a series that looks at various cities through the lens of their artworks). Art + Paris: Impressionists and Post-Impressionists has been released and will closely be followed by the re-opening of Paris� Mus�e D�Orsay this Fall. The museum has been undergoing a two-year renovation. Its makeover will be revealed in time to celebrate its 25th anniversary (the D�Orsay opened to the public on December 9, 1986). During the renovation, its famed Impressionist and Post-Impressionist have been on tour in San Francisco, Madrid and Nashville as part of a traveling exhibition (�The Birth of Impressionism�). $19.95 US.